She woke, rolled over and grabbed her iPhone. After she checked the time and rubbed her eyes, she let out a big sigh and thought about the busy day ahead. Then, she clicked on the blue square with a lower case f. She saw how many likes she had from what she had shared the night before. She scrolled through mindlessly for a minute. Then her feet hit the floor with an empty feeling in her soul. “Why did I just start my day like that? !” She thought. She went to the coffee pot, then grabbed her bible and notebook for what she knew would make her empty soul feel good and satisfied instead- her Jesus. Trust me friends, I know we need mindless, chill time. I don’t think anyone can run long and far for God without sitting back and relaxing. Us mamas know at the end of the day, we have hardly any brain functioning left. We need an escape. We need to connect with the outside world, to get good ideas for recipes and outfits. To see the cute babies our friends from college have had. Yes, yes, yes. Social media is not ALL bad. But we need to check our social media surfing and ask ourselves some questions about how it is affecting our most important relationship, our relationship with our Heavenly Father. 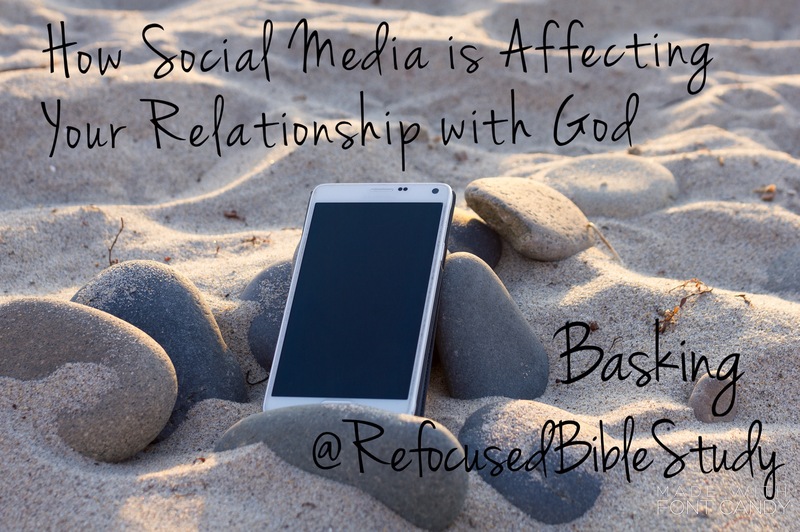 How is social media affecting my relationship with God? Am I SEEKING GOD FIRST with my heart, my days, my time and energy while still being connected to social media? Am I finding my IDENTITY and VALIDATION in who I am in Christ or in my popularity on social media? Am I ABIDING in Christ and BEING PRESENT with him and with the people he has placed in my life or am I letting social media steal my attention from him and them? We’ve already hit on the number one, so let’s start with number two. And let’s just be real. You have looked at your post to see how many likes it has. You have looked at your profile to see how many followers you have. You have even gone to another person’s profile to see how many followers she has compared to you. Sometimes this makes you feel good. (Which is silly and prideful). And sometimes this makes you feel small, and not important. (Which is a lie). This has to stop. As children of God, we CANNOT find ANY IDENTITY in our popularity online. This is grieving the heart of God. He is watching us thinking, my child, I created you fearfully and wonderfully, I sent my son to die for you, I have adopted you as my own through him, and given you every spiritual blessing in the heavenly realm, and yet you look on social media to see what people who don’t even really know you think about what you have posted? Ouch. That thought hurts, but in a good way, right? Isn’t it fantastic that who were are in Christ is what really matters? Let’s not let this cycle steal our blood bought identity and worth any longer. ~Hear him, and step away. ~Sign off and look up. Which bring us to our next topic: Abiding (being present) with God and the people around you; instead of being on social media. God has promised he will never leave us. He has sent his Holy Spirit to dwell in the hearts of those who have trusted in his Son. How can we converse with God, and the people around us if our eyes are on our phones and devices? The answer is we can’t! Someone is getting ignored. Please, let’s make it stop. (Preaching to myself here, too). So how can we stay on social media and keep walking closer to God? Time restrictions: Only get on certain times of the day, like after you spend time with God, or just at night to check one time a day to stay connected but not obsessed. Also, you may want to set a time limit for when you do get on, so you don’t look up and realize you’ve wasted an hour while your dishes are still piled up in the sink waiting for you. Reasons to get on: Checking to see how popular your posts are should not be one of them! That is self-centered and makes us have that false sense of worth we talked about earlier as children of God. But there are good reasons to get on. You know what they are for you, so just ask yourself, “What’s my good purpose to get on social media right now?” Don’t let it be a rote, routine habit to click on the app because you have a free second. Log out or take apps off your phone: Train your fingers not to click where they’re used to clicking. Either delete it off your phone, or sign out of your apps until the time you have decided you will get on daily. Then log back out. If you need a detox from social media, step away for a while. Tell someone how you are trying to change your online habits. Choose someone with the same heart for the Lord that you have, and explain to them how you are doing this for a closer walk with God and to grow in who you are in him. Finally, we all know to change behavior, a new behavior has to replace it and take it’s place. Use the time and energy you used to spend on your devices on social media to seek God instead; to grow in the truth about who He really is and who you really are as his child. Get the bible app on your phone and find a great devotional to click on when you have free seconds. Be present in the moment that you are in, with God and with those around you. Live life to the fullest, like he intended you to, right where your feet are planted; instead of where your fingers are scrolling. Here’s a free tool below to help you refocus this summer. There is a commitment at the beginning of this devotional to change your social media habits. 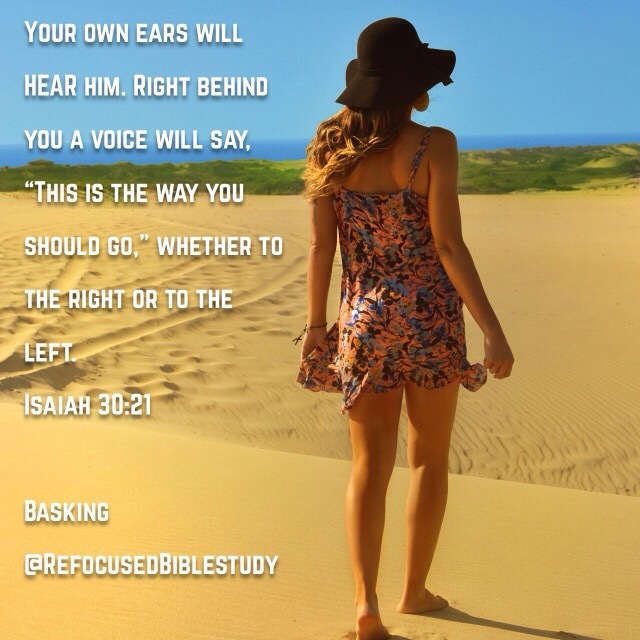 Unplug and plug in to Him!